Sand washing plant is a processing system from sand crushing to sand washing and dewatering. Besides sand, the coal, mine, silica sand, clay and more are also can be processed. But what’s the sand washing plant cost when starting a new sand washing plant? 2. Stay away from residential areas. In order to reduce pollution, it is advisable to choose the dominant air outlet. 3. The distance between the plant and blasting point shall be at least 200 meters according to industry standards. 4. The area of plant area is based on the yard and capacity of raw materials and finished materials. 7. Geological conditions, natural disasters, etc. In general, the cost of investing in sand and gravel plants ranges from tens of thousands to hundreds of thousands. The budget involved includes pre-document processing, mine purchase, medium-term equipment investment and plant construction; labor costs and equipment maintenance costs for employees employed later. The medium-term cost is relatively large in the total budget, so users need to invest more energy in selecting equipment manufacturers. 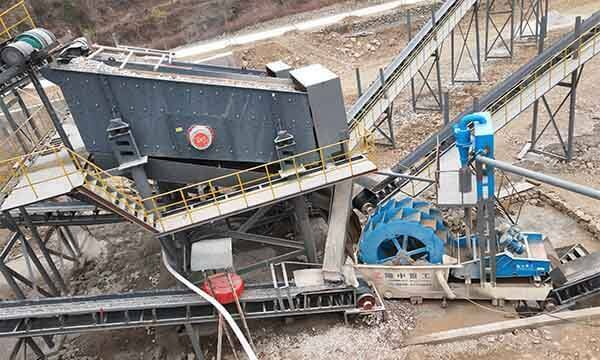 Generally, the production process of sand washing line is the hopper – feeding – crushing – sand making – screening – sand washing – sand dewatering- fine sand recycling – finished sand products, and each process is connected by a conveyor. 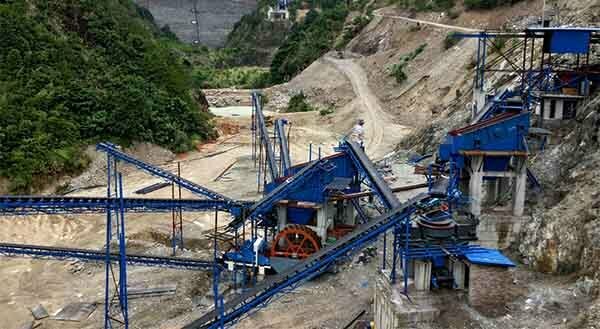 Therefore, the production equipment required by sand and gravel plant mainly includes the vibrating feeder, crusher, sand making machine, vibrating screen, sand washing machine, dewatering screen, fine sand recycling machine and belt conveyor. Other ancillary equipment like dust collectors, stone washers, classifiers, packaging, wastewater treatment facilities may also be used. However, due to the different processing standards, different size and hardness of raw materials, the specific equipment configuration may vary.